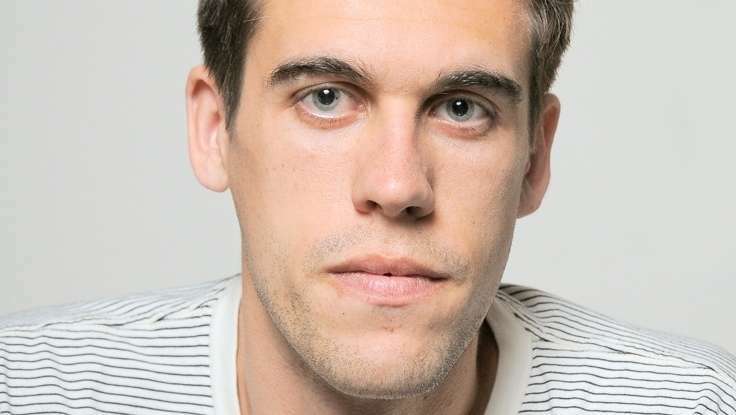 Ryan Holiday has been breaking the rules of business strategy for nearly a decade. An unlikely success story, Holiday dropped out of UC Riverside when he was 19 to apprentice under Robert Greene. He’s gone on to work with Tucker Max, and for many years was the marketing director for American Apparel. His tactics earned him the title of Media Manipulator, and spawned his bestselling book, Trust Me, I’m Lying. He’s also the author of Growth-Hacker Marketing and The Obstacle Is the Way. Ryan’s newest book, Ego Is The Enemy, takes the thinking of The Obstacle Is the Way, and applies it to our greatest internal obstacle — our ego. He’s been Editor-at-Large for the New York Observer’s tech section, and has written for The Columbia Journalism Review, Forbes, Fast Company, and The Huffington Post. ETR: What inspired you to become a writer and entrepreneur? Holiday: I love books. The idea that creating them is something I could do for a living isn’t something I ever really thought of. I didn’t grow up knowing any writers. There was no one in my town that did that. It was only in college, when I started emailing writers and authors whose work I was a fan of, that I started to realize: Oh wait, these are people just like me. Maybe I could do that. And so I started writing online until I had my rst book idea. ETR: How do you find new inspiration and maintain it? Holiday: Books, books, books. A writer has to consume books as much as they eat and breathe. It has to be part of your existence. It’s how you research, it’s how you learn, it’s how you see the craft done right. And then of course, a writer also has to go out and live life. The more interesting your life is, the easier writing is — the more material you will have. A writer with a boring life — intel- lectually or experientially — is a writer without much to say. Holiday: Not an explicit one. I do try to think, “What are most people doing?” and then not do that. You want to find blue oceans not com-petitive, red oceans. I try to think, “Does this thing I am considering get me closer to the life I want? Or further?” Those two rules do help with decision-making. Actually executing the right decision is more difficult than knowing what the right decision is certainly. Holiday: From the stoics: We don’t control what happens to us. We control how we respond to what happens to us. Holiday: I get up between 6 a.m. and 7 a.m. I live on a farm, and if we’re not up early, the animals get upset. ETR: Do you have any daily routines that you feel keep you grounded? Holiday: Every morning I write in a journal — just a few short pages. I also do some form of strenuous physical activity (run, swim or weight lifting) in addition to a long walk. I don’t consider walking to be exercise. It’s more meditative. ETR: How do you prioritize your most important task? Holiday: A good question to ask is, “Am I the only person who can do this?” Scheduling, for instance, can easily be handed o to someone else, so I don’t do that. Answering these interview questions, really only I can do that. So I’m doing it. I also try to keep my to-do list very short — a single 4-by-6 notecard and really no more than 10 items per day. But I want those items to be big enough that if I were to do all of them and nothing else, I’d feel like it was a full and productive day. ETR: Who has been the most significant contributor to your success? Holiday: My wife. I think a lot of people think that relationships pull one away from their passion or their career. I’ve found the opposite to be true. Without her — and we’ve been together since college — I’m not sure I would have accomplished half of what I set out to do. ETR: Who are your mentors? Holiday: I’m a college dropout so my entire career is the result of having attached myself to smart, generous, wise people who guided me along. For instance, I learned how to craft a book from Robert Greene. I learned the art of marketing from Dov Charney, the founder of American Apparel. I worked in Hollywood for a producer named Aaron Ray, who taught me about strategy and business. And I met all those people from another mentor of mine, who gave me my first job. ETR: What’s the most valuable advice you’ve received? ETR: What would you say to someone who’s struggling in his or her entrepreneurial pursuits? Holiday: Look man, if it was easy, everyone would do it. It’s supposed to be hard. That’s what makes it rewarding — financially and personally. ETR: What is one book that inspired you personally? Holiday: One? C’mon. The War of Art by Steven Pressfield, Mastery by Robert Greene, Meditations by Marcus Aurelius, Letters from a Stoic by Seneca. ETR: What other writers and entrepreneurial leaders do you look up to? Holiday: I’m a big fan of James Altucher, Brian Koppelman, Tim Ferriss, Robert Greene, Maria Popova, and Rich Cohen. Of course, most of my idols are from history: Marcus Aurelius, Seneca, Ambrose Bierce, Lincoln, and Theodore Roosevelt. ETR: What have you learned that will make an impact on your professional pursuits this year? Holiday: The art of saying “no.” You have to say no more often that you say yes. There’s no way around it.